OXNARD, Calif. -- The California League, the only full-season league in Minor League Baseball to honor an umpire, announced its award for Umpire of the Year. The Doug Harvey Award named after the 2010 Major League Baseball Hall of Fame inductee, was instituted as an annual award in 2010 and given to the Cal League Umpire of the Year. Mr. Harvey passed away earlier this year. In a pregame ceremony in Visalia before the start of game two of the Cal League Championship Series, Darius Ghani was presented the ninth Doug Harvey Award. Ghani is in his fourth season as a Minor League umpire. 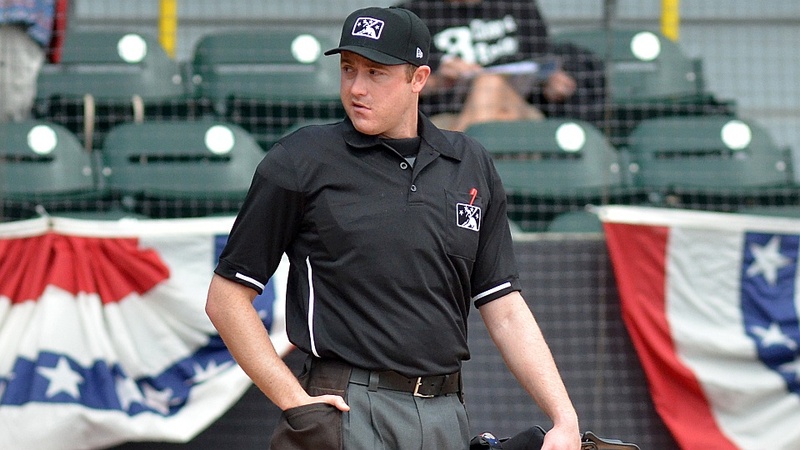 The 28-year old umpire from San Jose, CA was selected as Crew Chief for the Cal League Championships. "Congratulations to Darius Ghani for being the ninth recipient of the Doug Harvey Award." Cal League President, Charlie Blaney stated. "Darius has worked hard all year and has done a tremendous job. We've been very honored to have him in our League this year. The Cal League sincerely thanks the family of Doug Harvey for lending his name once again to this prestigious award". Doug Harvey was a Major League umpire for 30 years and umpired in 5 World Series, 6 All-Star games, and 9 National League Championship Series. He was nicknamed "God" by the players because of his strict focus on the rules of the game. Harvey was ranked as the second greatest umpire in history, according to the Society for American Baseball Research, behind only Bill Klem. In 2007, Referee magazine selected him as one of the 52 most influential figures in the history of sports officiating. He began his professional umpiring career in the Cal League in 1958 and umpired in the League for the 1959 and 1960 seasons before moving up to Triple-A.